All Blacks winger Julian Savea says he’s in a good head space as he gears up to launch his comeback to the top. Savea had an up and down year in 2017 after falling out of favour with All Blacks selectors but also welcoming his first child with partner Fatima. Rather than worry about his status with the All Blacks, the 27-year-old is intent on approaching the new season with a clear head. “Last year, I was thinking about rugby too much — the what to do, the what to work on,” Savea told the Courier-Mail. “I might have said ‘whatever happens, happens’ around selections against the British and Irish Lions last year but I thought of making that All Blacks team too much. Savea finished 2017 on the right note, back in his happy place enjoying rugby again after playing a major role in Wellington winning the Mitre 10 Cup Championship division, and playing against the All Blacks for the Barbarians at Twickenham. 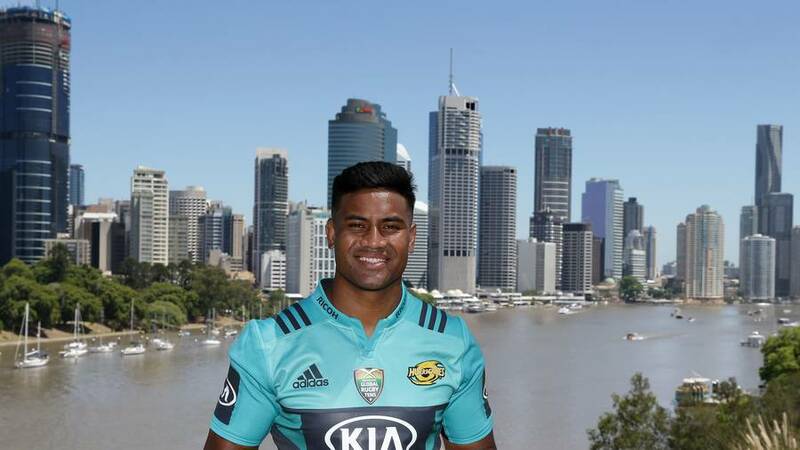 The Hurricanes star said he wants to focus on himself this year and is looking forward to the new season, which for him starts at the Brisbane Tens next month. “Just not caring to be honest — or rather not caring about the results, but just playing the best I can,” Savea said.